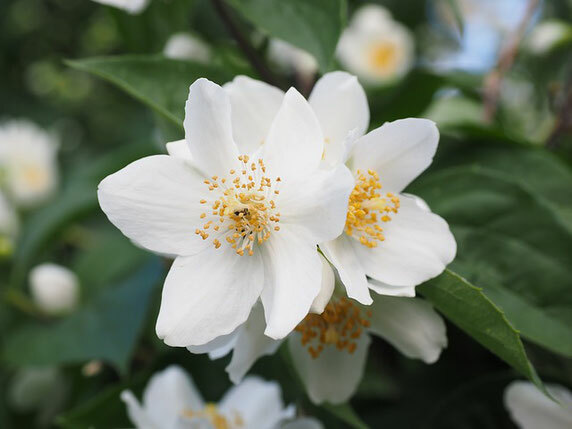 The Mock orange is a rustic and resistant shrub, characterized by the pleasant scent of its flowers. It is a genus of plant belonging to the Hydrangeaceae family which boasts more than 75 species. This shrub is characterized by a falling shape and the stem can reach heights up to 5 meters. The flowering takes place immediately after May in full spring. The leaves of the Philadelphus are oval in shape, with strong ribs that cover the entire surface of the leaf, which can be pigmented with a very wide variety of shades ranging from green to yellow. 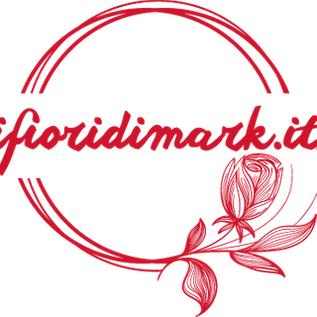 The flowers, on the other hand, have a chalice shape and are made up of 4 petals that are divided, sometimes double, sometimes collected in peaks or even in panicles. Even the color of the latter can be very varied and can range from pure white to very saturated and very different colors. This happens because the varieties that exist today derive mostly from hybrids that color the vast assortment present in all the nurseries. The Mock orange is grown mostly as a hedge or as an ornamental garden plant. Usually the plant therefore needs a traditional planting through a hole in which inside, however, do not forget to add expanded clay. Pruning is recommended and can take place only once a year in the period just after flowering. It is also advisable to add on the surrounding earth the stem of the plant of the well mature manure, possibly of a horse. If the plant is planted on the ground and is autonomous and irrigate the land will be enough rainwater. In the case instead it is cultivated in pot the waterings must be frequent and the soil must be mixed with the expanded clay and must be periodically renewed. There are no obvious risks to any disease of plants, the Mock orang is a very resistant plant that, if on the ground, does not need any treatment. The only inconvenience that can be met is that concerning the attack of aphids. This happens especially in wet and hot periods, periods where even the proliferation of fungal diseases can damage these plants. Certainly in these cases a preventive treatment is very effective. This can be done in the spring using specific products. The symbol of memory and memory is associated with this plant, whose scent recalls that of orange blossoms. In fact it would seem to be common use to donate a flower of this plant to those who wish to remain alive in their memories.